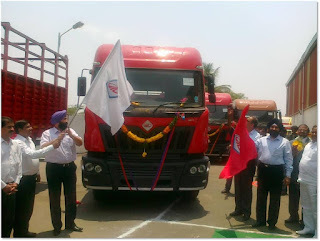 Mahindra Truck and Bus : Mahindra Navistar – Revolutionizing the Indian Trucking Industry. Mahindra Navistar – Revolutionizing the Indian Trucking Industry. The legendary Mahindra Navistar trucks are manufactured by Mahindra Navistar Automotives Ltd. (MNAL). The corporation is a joint venture among two global business leaders - Mahindra & Mahindra Ltd. (M&M) and Navistar Inc. USA. 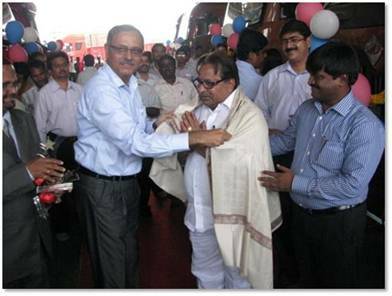 a long way since launching the entire range of high performance HCV trucks at the Auto Expo 2010. Last year they brought forth the MN25 and MN31 and changed the face of the Indian trucking industry. Recently, Mahindra Navistar bagged top honour at Apollo Tyres -CV magazine awards by grabbing two awards. Majority of truck fleet owners are happy with the innovative Mahindra Navistar trucks and are more than willing to obtain the HCVs. 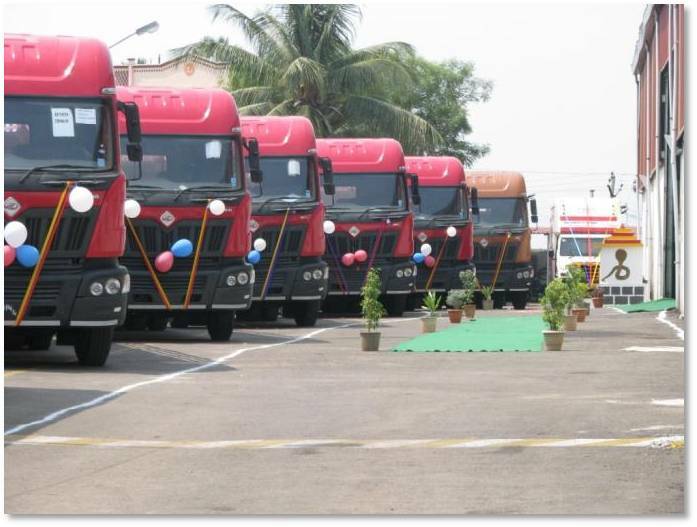 Lately, Mahindra Navistar sold 29 trucks from their Hyderabad dealership. The company literally “Outperformed” all their competitors by providing excellent innovative technology for trucking, leading to the sales growth of Mahindra Navistar trucks. They believe that this is the beginning of a new era in the trucking industry. State-of-the-art technology and technologically distinctive vehicles can lead to the betterment of the trucking industry in India. Mahindra Navistar advocates the spirit of “Rise” and is geared to carry forth the revolution with its high performance trucks powered by the renowned MAXXFORCE® engines.